Our FWE Series of packaged air conditioners are completely custom designed to meet your needs, the units can be configured in cooling only or heat cool design. We offer a large assortment of both new and retrofit multi-zone designs. This product can also be integrated with our heat wheel or heat pipe products to minimize equipment loads and facilitate dehumidification. The UPEW Series of water-cooled packaged air conditioners provide a low cost, factory fabricated, cooling / air handling system requiring only a simple connection of the space thermostat and a supply of condenser water. The UPEW Series lend themselves to small office buildings, commercial retail space and food service areas where the use of air-cooled equipment is not feasible. 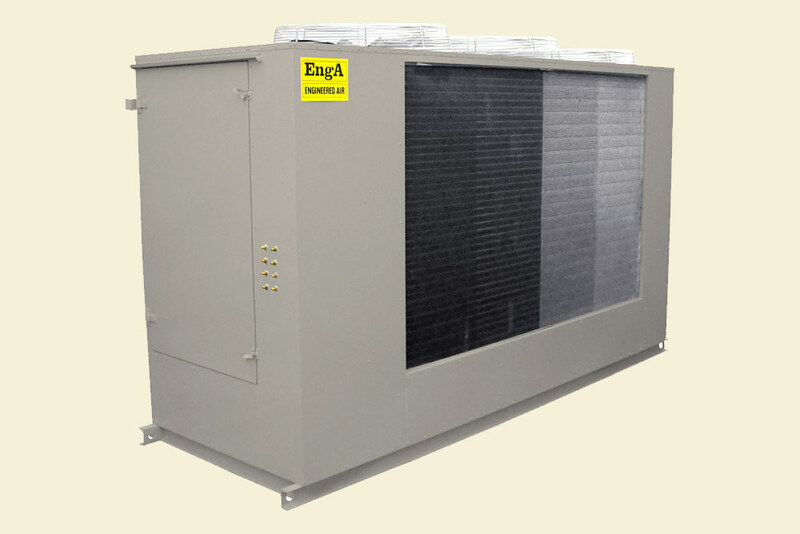 Water-cooled air conditioners provide significantly higher Energy Efficiency Ratios (EER). The FW/HE series may be used to provide makeup air in commercial kitchens, cafeterias, and restaurants. In all cases, the exhaust air must be ± 10% of the makeup air, or as required by local codes. FWE/HE units are available with side, up, or down discharge. Roof curbs are available where required. The Engineered Air exclusive "Green Burn Burner" is the cleanest burning on the market today. The HE Series make up air heater meets all the current ANSI and CSA standards for direct fired units, and is certified by ETL. This assures the highest "state of the art" direct fired unit available. Clean burning efficiency and peak operating economy are some of the reasons to specify Engineered Air HE Series direct fired units. 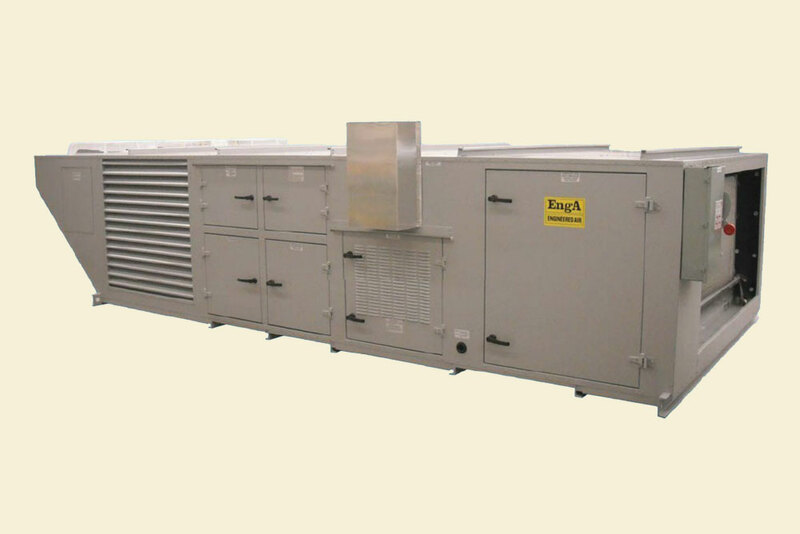 A makeup air unit combining the economy of efficient indirect fired heating with mechanical cooling. The option blow through filter and evaporator coil eliminates nuisance trip outs due to frosting during the winter months. FW/DJ units are available with side, up or down discharge. Roof curbs are available where required. 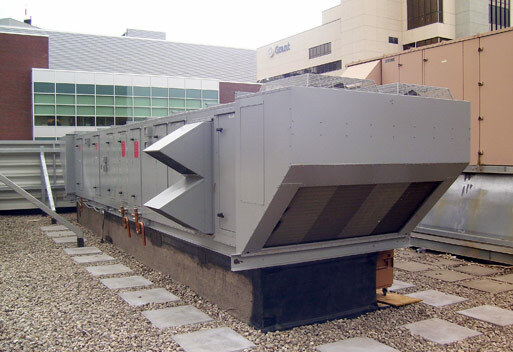 The FW/DJ Series is excellent in providing makeup air for hallway pressurization, industrial facilities, food processing, commercial kitchens, health care, laboratories, athletic facilities or anywhere there is a need to heat and cool 100% outdoor air. Refer to DJ Series Indirect Fired Heaters. Available in multiple hermetic scroll or reciprocating models that are similar to the FW Series cooling units. Alternate tube coil that is individually selected to meet specific conditions of operation. Engineered Air has developed the FW/EC Series of packaged air conditioners to meet the demands for lower air supply temperatures, in the 44°F - 50°F range, while meeting the operating efficiencies of ASHRAE Standard 90.1. The FW/EC series of air conditioners utilizes the benefits of evaporative cooling in the condenser, allowing condensing temperatures in the range of 100°F to 110°F, even with ambient dry bulb temperatures at 100°F or over, as long as the web bulb temperature of the outside air is at 80°F or lower. Lower condensing temperatures with the resulting higher EER's mean lower operating costs for the owner. Even when operating cost is not a concern, (seldom the case), building code authorities may impose electrical energy input limits on the air conditioning system, most often along the lines laid out in the ASHRAE Standard 90.1. Multizone Units for new or replacement applications designed to meet the needs of the 21st century. 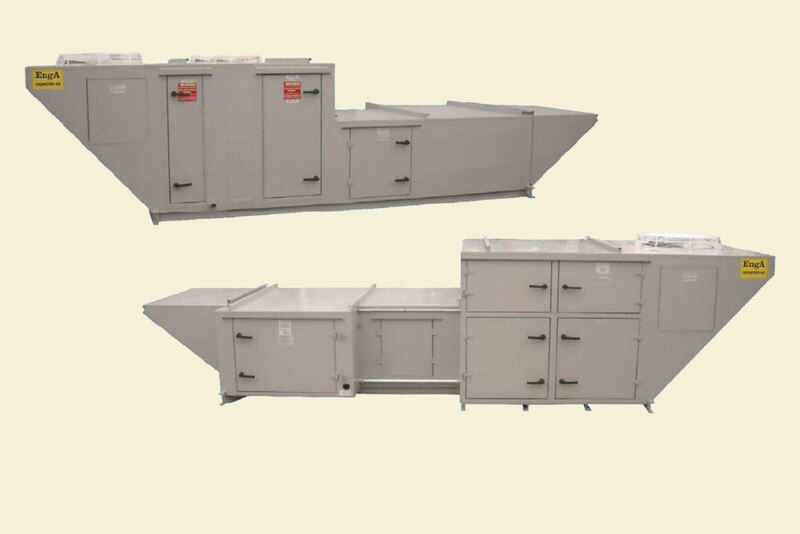 The Engineered Air MC Series is a line of modular water-cooled and remote air-cooled chillers (packaged air cooled are available) that range in size from 20 to 80 nominal tons. 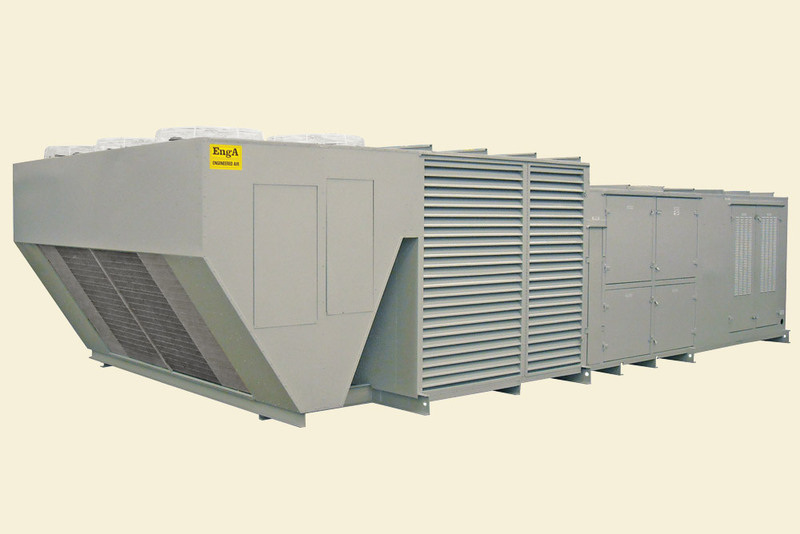 They can operate as a stand alone unit or in combination of up to 12 chiller modules to increase cooling capacity as needed. Single stand-alone models are available in the 3 to 80 ton range. 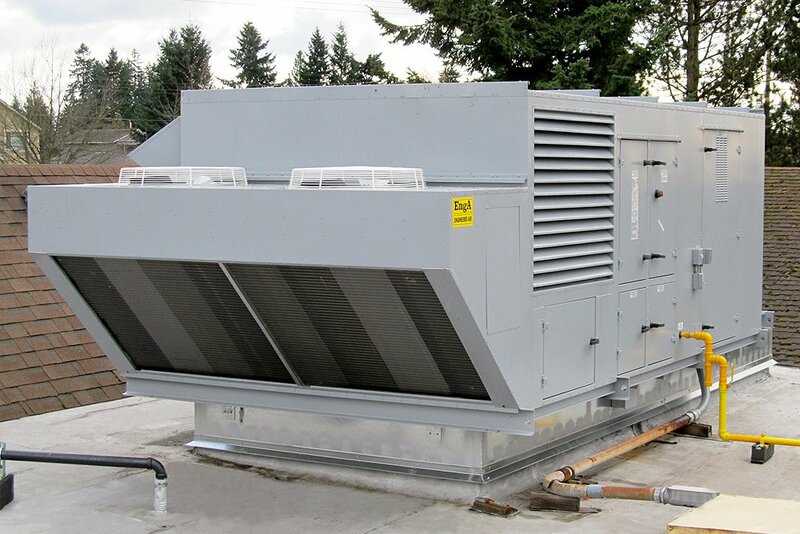 The principle of modular chiller design is that a smaller individual chiller (a module) can be connected with other modules to create a larger cooling system, either initially or over time. Sections of 6" (152mm) diameter pipe connected with Victaulic couplings are used to form a common header. This allows the common header to be pre-shipped to the job site and piped into the building piping system before the rest of the equipment arrives. Allows the system to grow with the cooling load. Modules can be added at a future date without doing any piping work. Better Capacity Control Each individual circuit is operating at its optimum efficiency point, providing a high operating efficiency even though the overall assembly is operating at partial load. 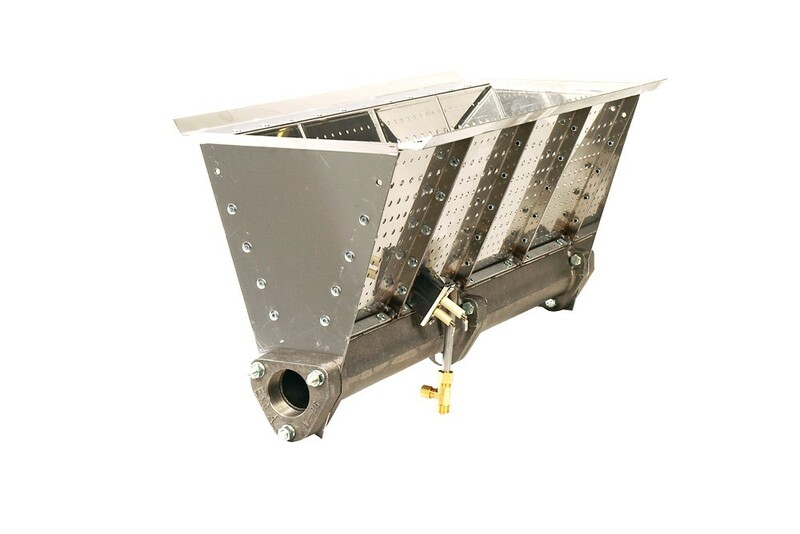 Units are connected to the header using isolation valves and flex joints, meaning they can be mounted directly onto a concrete slab. Header sections are identical to one another. They can be pre-shipped ahead of the chillers, allowing the building piping system to be pre-built. The external common header means that modules can be located in different parts of the room or even in separate rooms. As long as the piping is connected so that the master controller measures the system fluid temperature, the system will work effectively. 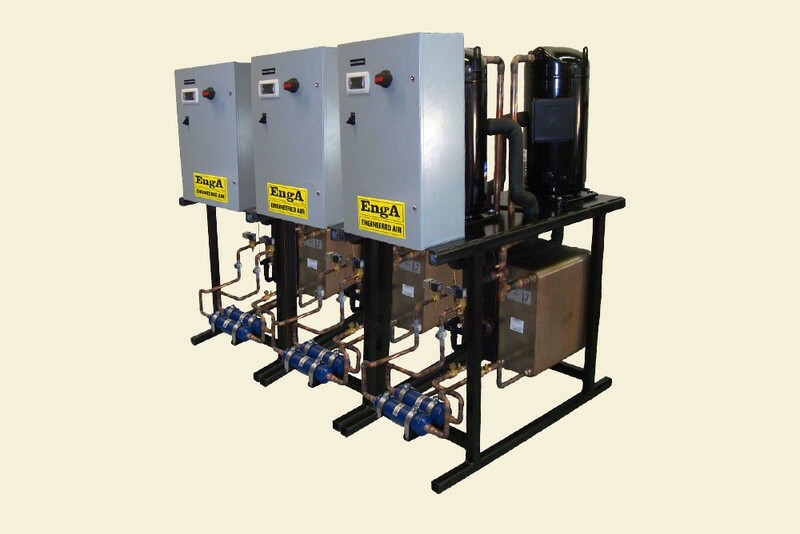 Designed to allow service to all the liquid line components on any of the chillers while the system is under operation. Add one more module to the system for an "N + 1" capacity so that the overall cooling system capacity is not affected when a module is taken out for regular service or needs repair. Each unit has two independent circuits. If one is lost, only that circuit is affected while all others remain operational. Each module has a fully functioning dedicated logic controller. If communication is lost with the master controller, the individual controllers will automatically take over control of each module. By presetting and staging the set points on all the local controllers, they will then control the system. Set up so that it is front serviceable making it easy to access components requiring routine maintenance.